The MasterTwill replacement soft top by MasterTop is designed to fit over your factory installed soft top bow assembly (not Included). 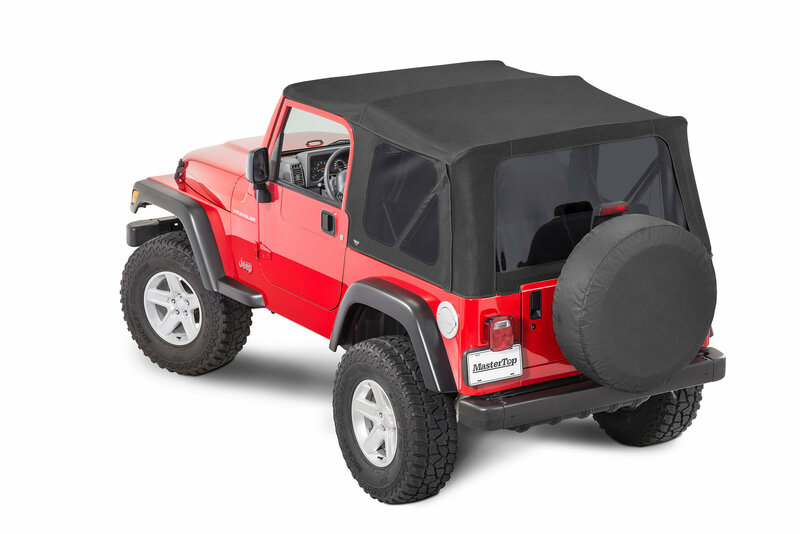 The MasterTwill material is an exclusive and innovative 3 layer fabric that is designed to give that true fabric convertible top look while providing superior weather and noise protection. MasterTwill is constructed with three layers; the top layer is a water-resistant woven Twill fabric that is both durable and soft. The middle layer is a strong waterproof rubber layer that insulates and keeps moisture out. 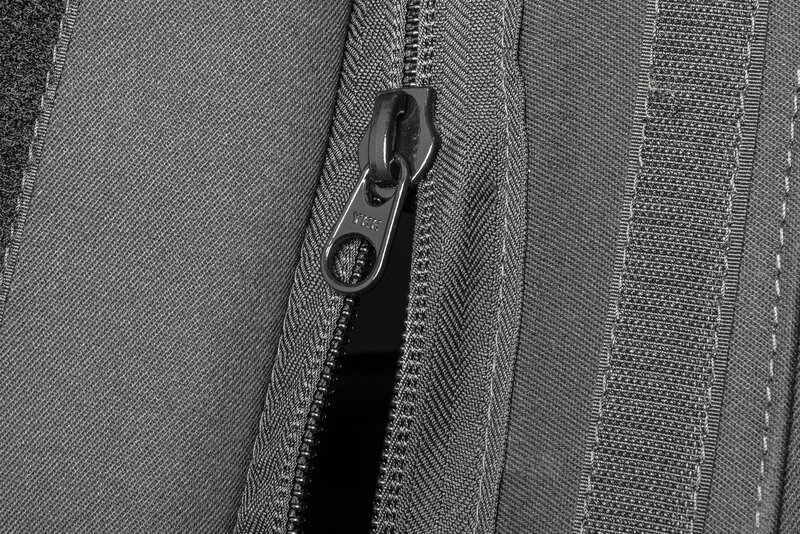 The bottom layer is tough woven polyester “dobby” backing that provides further insulation and added strength. 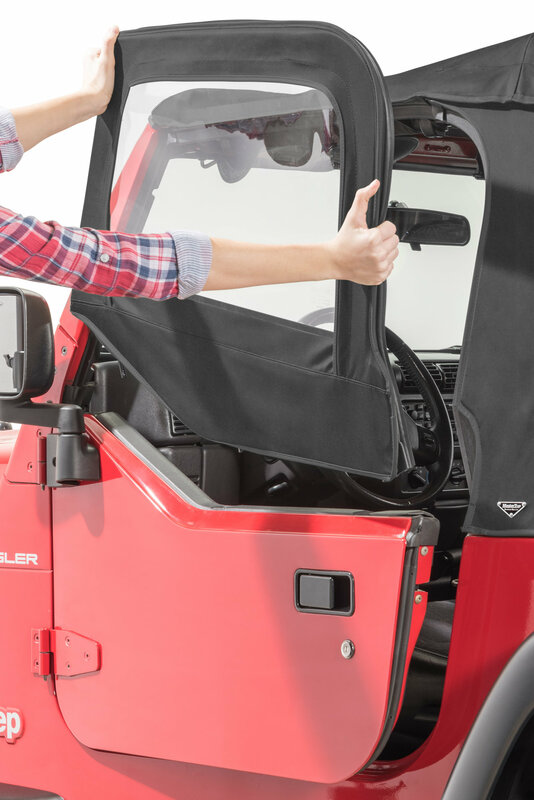 Together, these three layers make MasterTwill the ultimate soft top fabric choice for Jeep® enthusiasts everywhere! Each top includes all the custom fit fabric and replaceable windows needed to do a complete replacement of that old, worn top. 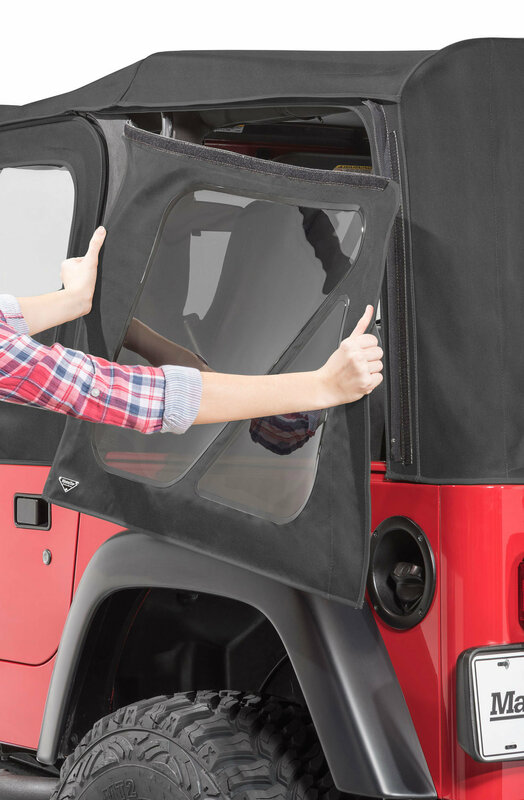 MasterTop replacement tops feature High quality scoop count matching zippers that allow for easy removal and replacement of side and rear windows. MasterTop Replacement tops for ’97-’06 Wrangler Soft Tops are available with or without Upper Doors Skins (See our Recommended Items for version with Door Skins). All MasterTop Soft Tops include 40 mil 31% tinted quarter and rear windows. All Door Windows are DOT approved Clear glass. 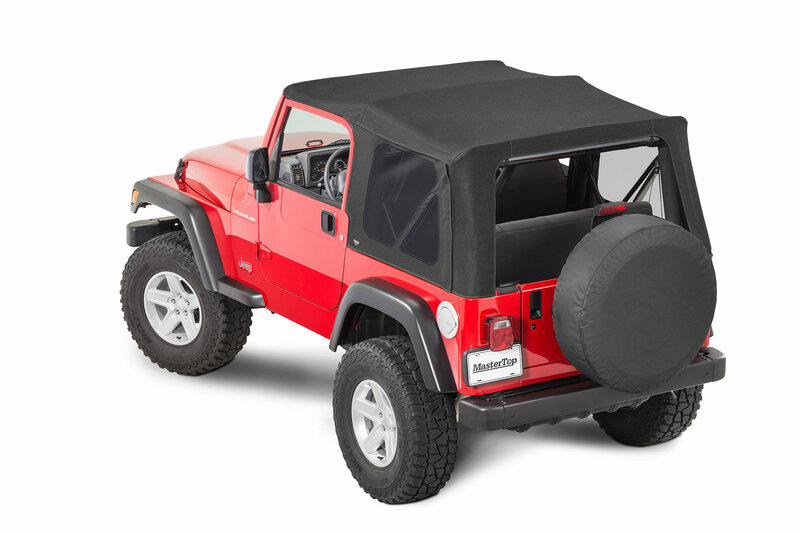 By using only the highest quality materials, MasterTop soft tops have set the new standard in replacement top design. MasterTwill Material: MasterTwill is an innovative material that is designed to provide superior weather and noise protection, while giving that true fabric convertible top look! This three layer material is specially manufactured to give the ultimate in waterproof and insulated protection from any type of weather. Window Glass: MasterTop uses Press Polished 31% tinted windows that are DOT compliant. Where applicable, DOT compliant door window glass is clear glass for ultimate visibility. Unlike "Rolled" glass, that is used in low cost soft tops, MasterTop windows do not distort your view and the 40 mil thickness ensures the glass lasts longer than other thinner aftermarket window glass. Engineered for Excellence: MasterTop seams are stitched with tough marine grade Tex 135 polyester wick stop thread that’s UV protected and rot resistant providing years of worry free enjoyment. 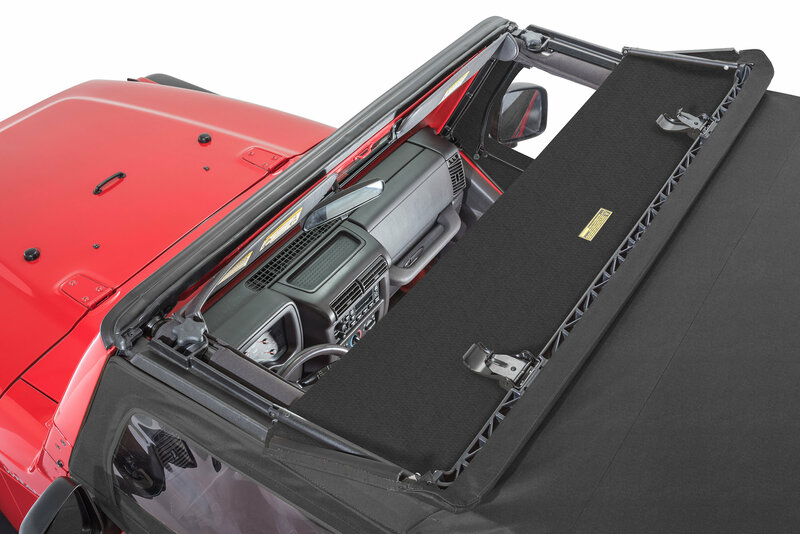 All MasterTop Soft Tops also feature High quality scoop count OE matching zippers that allow for easy removal and replacement of side and rear windows. Nice material. Most of the top fit well, One area on the right rear corner and back plastic window fit horribly. Ruined the whole product. Return was easy and customer service at quadratec was awesome. Just stick to Bestop the original. The Bestop fit like a glove.